At the heart of Cadbury Milk Tray’s heritage is the iconic Milk Tray Man, a much loved Bond-esque character. But since he had been retired, the 25 – 55 year old consumer audience did not have the same level of nostalgia towards the iconic hero. And on the eve of its 100th birthday, Cadbury Milk Tray had room for improvement. We decided to revive the Milk Tray Man and spark conversation over what it means to be a hero in the modern world. The team took the Milk Tray Man beyond advertising and transformed the character into a real job that men and women could apply for. Over 20,000 people applied for the job. And after much contemplation, Patrick McBride, a 29-year-old firefighter from Liverpool, was selected as the new Milk Tray Man. 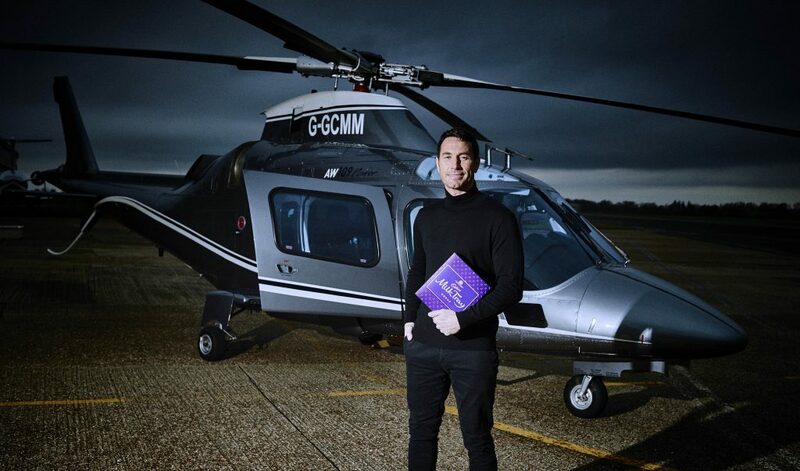 Patrick starred in the revived Milk Tray publicity and advertising campaign, which featured content across Cadbury’s owned and social channels. The campaign caused a widespread media frenzy, and overnight, Cadbury’s new Milk Tray Man became a celebrity – from interviewing on the sofas of national TV shows to doing a live interview whilst speeding down the Thames River. Cadbury saw a 40% sales uplift during the launch month, an overall sales increase of 11.8% since the beginning of the campaign and over 300,000 website visits.